I created this a while ago and never posted it because I didn't think it was that good. Who am I kidding… It's awesome! It would be best to follow this link to view the presentation with added notes that explain each slide. Most of the posts here on Brainslides are directed towards teachers who want to improve their slide design and presentation skills, but today I've decided to focus on the other half of the equation. Here are a few tips for those of us who aren't yet desperate enough to throw tomatoes at the projector screen but still want to make the most of our time in the lecture hall. Here's a great little tip to add some extra punch to the next important lesson you give. It's deceptively simple, but it should help your students remember the lesson better. Faith Jegede gave a perfect example of this technique in her recent TED Talk. Watch it yourself, and see if you notice the trick. Nathan and Mike chat with Professor Tony Christensen of Wilfrid Laurier University who recently decided to scrap his lecture slides and start from scratch. (See his amazing before & after slides below.) Find out what convinced him to do it, what it took, and how you can take steps to presenting better in your own classroom. 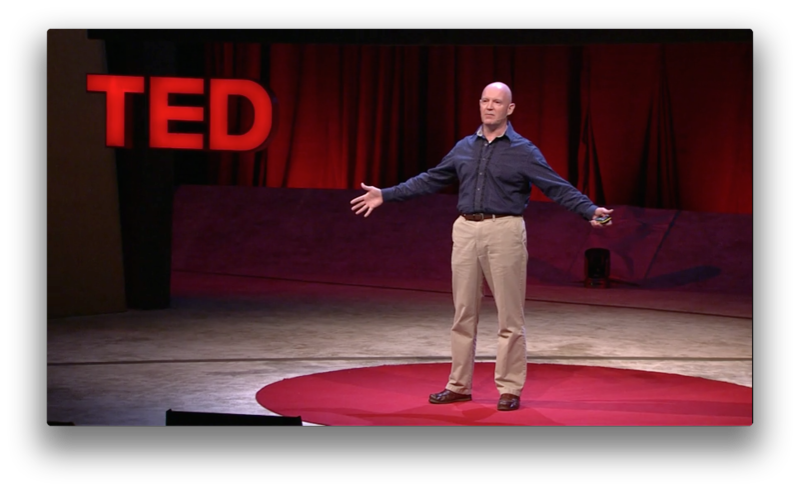 Chris Anderson is the curator of the TED Conference, which I have referred to numerous times, and which is the source of the astoundingly popular TED Talks available online for free. In an interview with Charlie Rose, he discusses a bit of the history behind TED as well as the 18-minute format and other things. About half way through the interview, Charlie Rose asks a very poignant question: "What have you learned about the ability to communicate?" Chris's response contains a number of important points for everyone who needs to communicate important information, especially teachers. 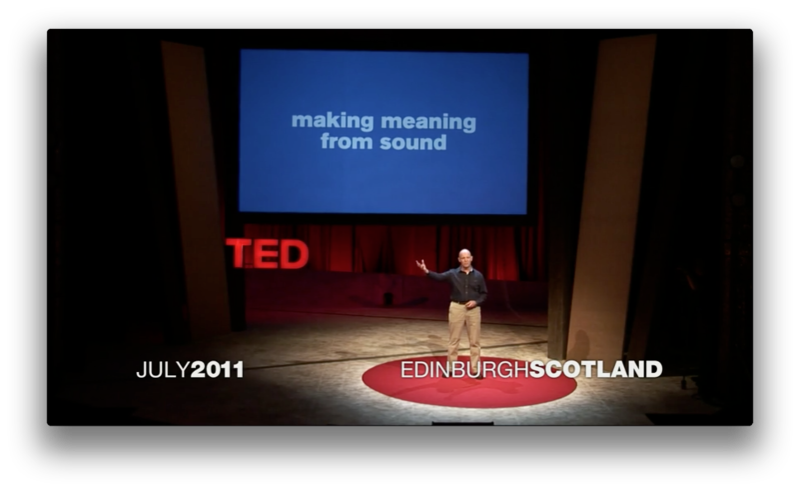 The TED Talks format resembles the ancient practice of telling stories around a campfire. 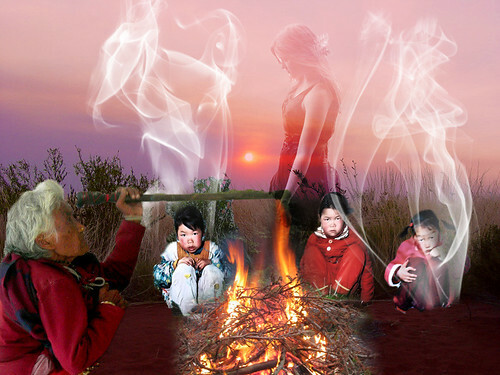 For ages before modern civilization, families and tribes would gather around a campfire and share stories that would connect on a deep level with each other. These stories, he says, "send fireworks exploding in the brains of everyone in the audience." How different from the gazed looks often found on the faces of high school and college students! Could telling stories be an answer to improving the attention of students in the classroom? In his book, Brain Rules, John Medina explains that stories elicit emotions which have a large impact on retention. What is so impressive about TED, is that these 18 minute talks are viewed hundreds of thousands of times a day by people all over the world. Now that is a captive audience! Stories can be used in the classroom to grab attention, illustrate a point, or encourage reflective thinking. Chris says that those who want to puff themselves up tend to "switch off the audience." But people who allow themselves to feel vulnerable, who are honest and transparent about who they are, look audience members in the eye, and share their passion are able to connect with their audience. This level of connection, he suggests, actually involves neurons firing in the audience member which mirror the neurons in the speaker. Teachers expend enormous amounts of effort trying to help their students give a damn and see things from their point of view. Unfortunately, this often manifests itself in the form of hour long lectures about a topic that students struggle to relate to. Relinquishing the desire to appear intelligent and academic allows you to become accessible to those you are trying to teach. "A lot of people are brilliant but get lost in jargon." Empathy is a necessary characteristic for a presenter to have if he or she wants to connect to and communicate with an audience. Most effective presenters have developed the skill of simplifying their material so that it is clear enough for everyone to understand it without dumbing it down too much. Similarly, teachers must have the presence of mind to know when they are using vocabulary that is above the comprehension level of those they are teaching, and the ability to rephrase the information using words appropriate to the experience and knowledge of their students. Oxford professor Richard Dawkins presents a series of lectures on life, the universe, and our place in it. With brilliance and clarity, Dawkins unravels an educational gem that will mesmerize young and old alike. Illuminating demonstrations, wildlife, virtual reality, and special guests (including Douglas Adams) all combine to make this collection a timeless classic. The Royal Institution Christmas Lectures for Children were founded by Michael Faraday in 1825, with himself as the inaugural lecturer. The 1991 lecturer was Richard Dawkins whose five one-hour lectures, originally televised by the BBC, are now available free online, courtesy of The Richard Dawkins Foundation for Reason and Science. Wherever you stand on the issue of Evolution vs. Intelligent Design, and no matter your religious beliefs (Dawkins is a militant atheist), it is difficult to deny that Richard Dawkins has prepared and delivered an amazing lecture. Dawkins elaborates upon the theory of evolution in five installments, each building upon the content of the previous lectures. While he doesn't have the most exciting personality, or energetic voice, he does use a wide variety of teaching tools to compensate. Yes, he uses slides, but very few. He also uses toy dinosaurs, live snakes & bugs, microscopes, guest speakers, paintings, videos, fossils, lasers, smoke, and more! Students are frequently asked to participate, not just by answering questions, but by coming to the front of the class and performing a task that illustrates or demonstrates an important point, such as working a scanning electron microscope. Of course, Dr. Dawkins isn't quite perfect. The authenticity of his lecture would benefit if he relied less on his notes and spoke more naturally and spontaneously. Yet, it is obvious that the amount of preparation that went into 5 hours of classroom lecture far exceeded the average for college professors. Teachers would improve their lectures by implementing only a fraction of the teaching tools employed in this series.